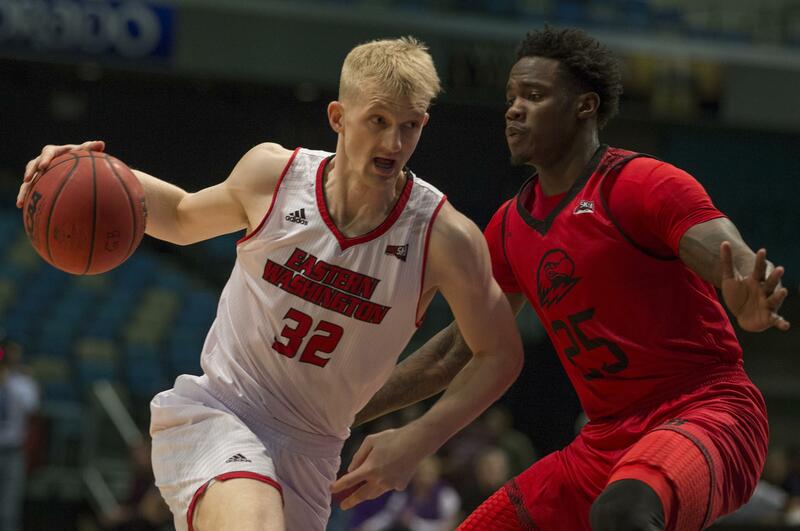 UPDATED: Sat., June 23, 2018, 8:28 p.m.
Former Eastern Washington guard Bogdan Bliznyuk has agreed to a NBA Summer League contract with the Los Angeles Clippers. Bliznyuk, the Big Sky Conference’s all-time leading scorer, went undrafted in Thursday’s NBA Draft. His summer league debut is July 6 against the Golden State Warriors in Las Vegas. The Federal Way native said he was in talks with the Sacramento Kings and the Clippers following the draft. Bliznyuk is the third EWU product to play in the NBA Summer League in four years. In 2015, Tyler Harvey was the No. 51 pick in the draft by the Orlando Magic. Last year, Jake Wiley, the 2017 Big Sky Conference Player of the Year, agreed to a free agent contract with the Brooklyn Nets. Angola joins Orlando: Former North Idaho College standout Braian Angola, who finished his career at Florida State, is joining the Orlando Magic in the NBA summer league. Angola posted the news on his Facebook page. The native of Colombia worked out for the Magic two weeks ago. Orlando opens the Las Vegas summer league July 6. Angola, a 6-foot-6 wing, averaged 12.5 points, 3.9 rebounds and 3.0 assists last season for the Seminoles, who reached the Elite Eight before falling to Michigan. FSU knocked off Gonzaga in the Sweet 16. Angola earned Region 18 player of the year and helped NIC reach a No. 1 ranking in 2016. Published: June 23, 2018, 1:37 p.m. Updated: June 23, 2018, 8:28 p.m.